Sproo-Doo: The show is in one week (Sept. 21). 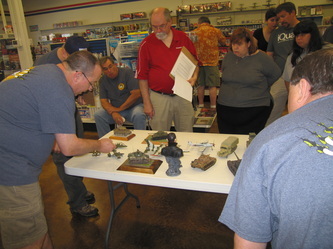 Members that want a vendor’s table should have signed-up at the end of the meeting. 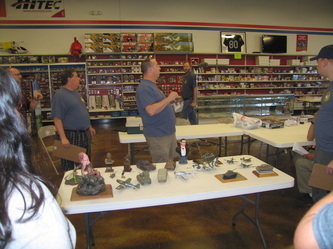 Set-up for the show will begin on Friday at 4:00. 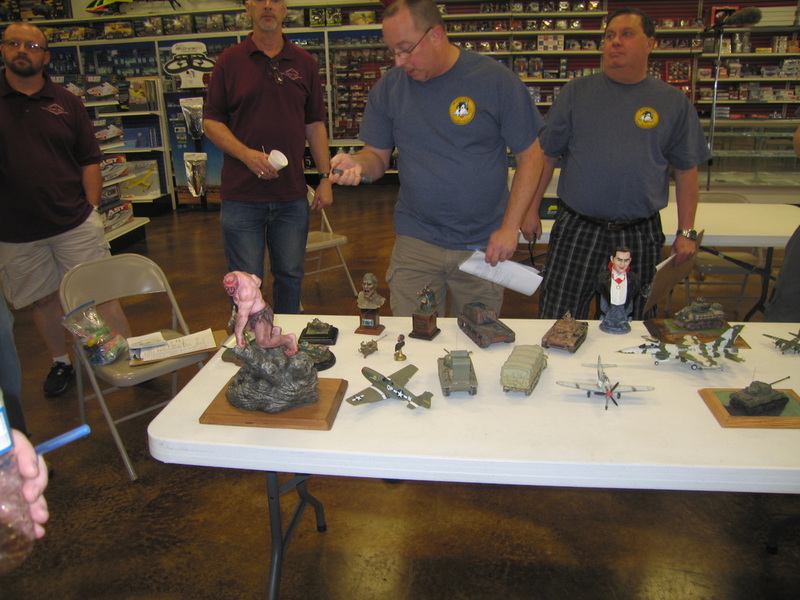 Members that are available at 4:00, meet at HobbyTown to get tables. 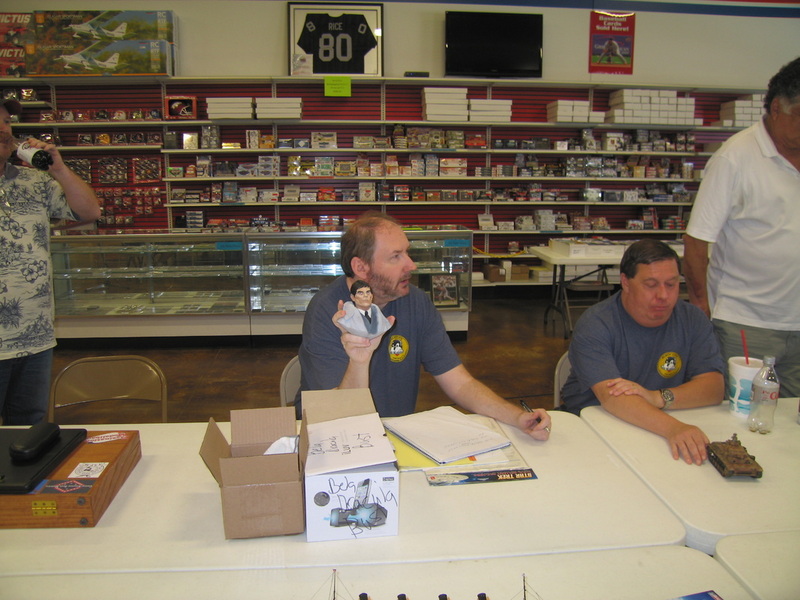 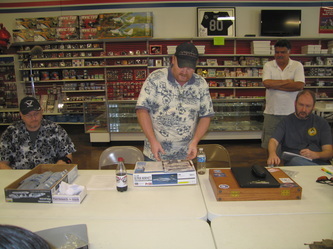 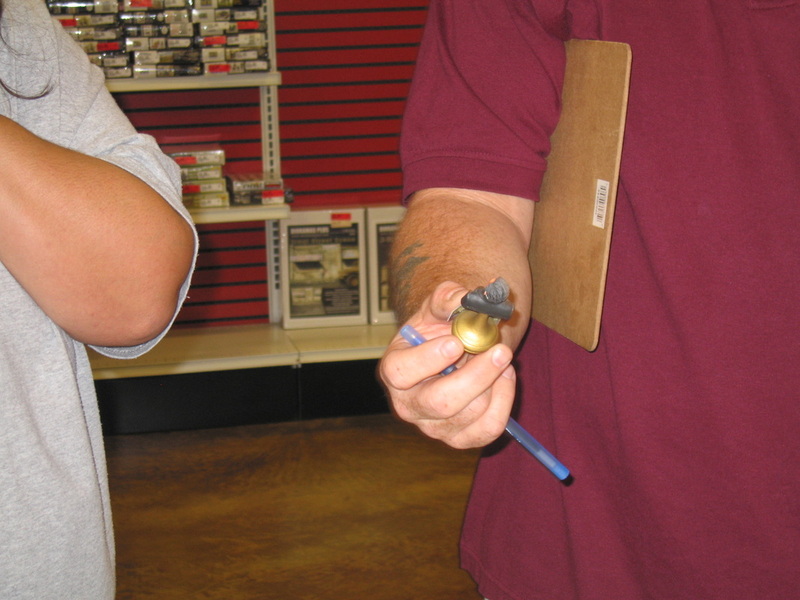 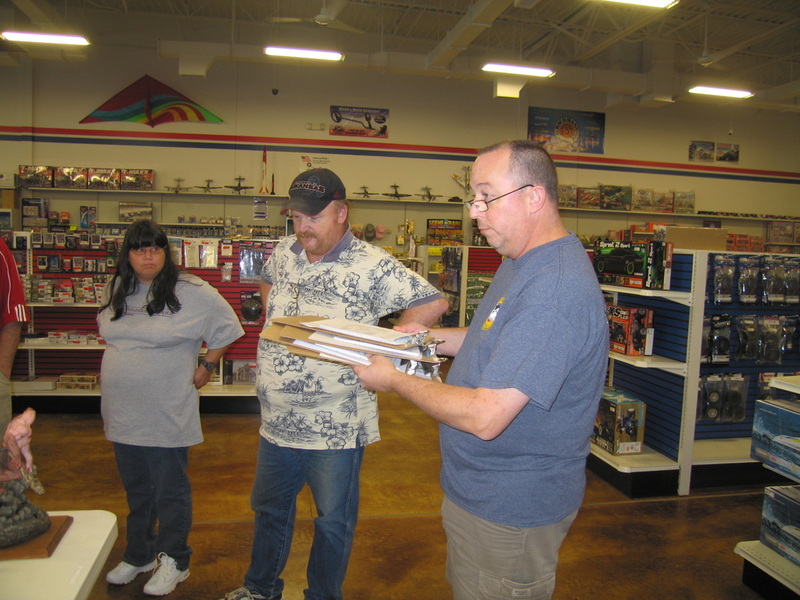 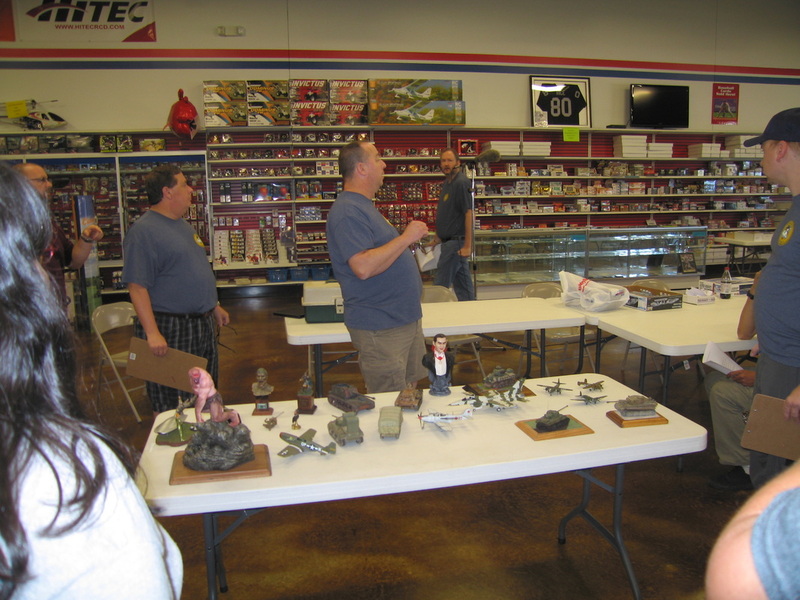 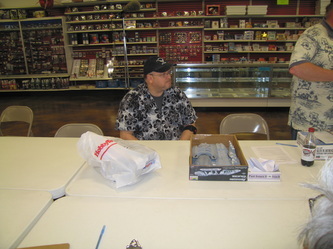 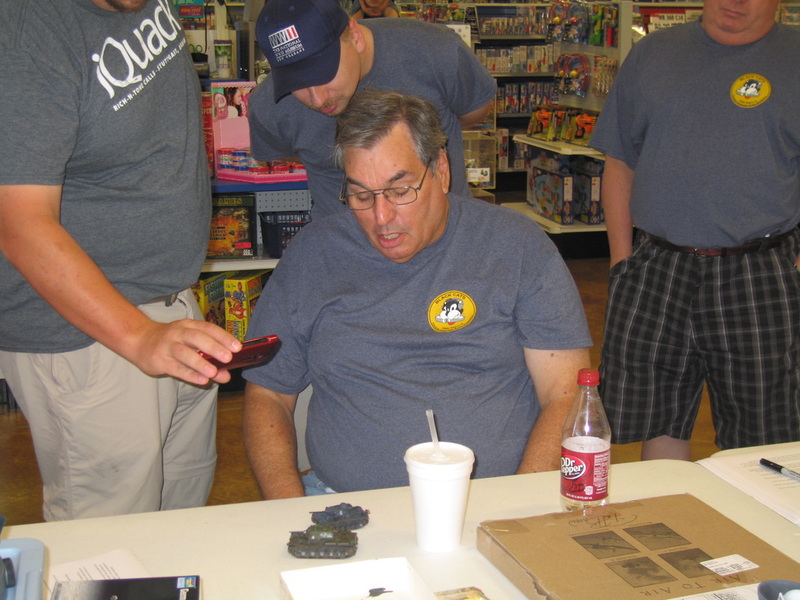 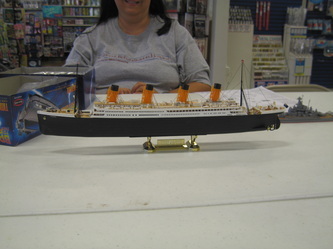 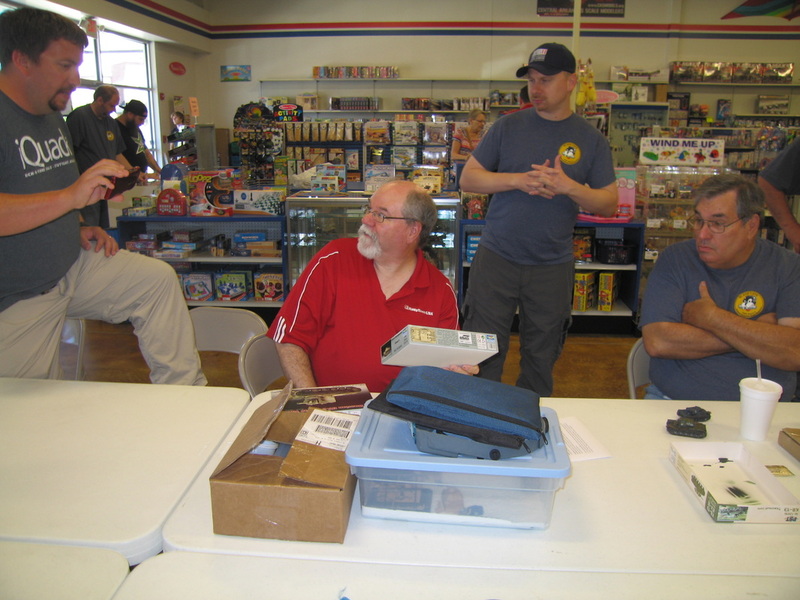 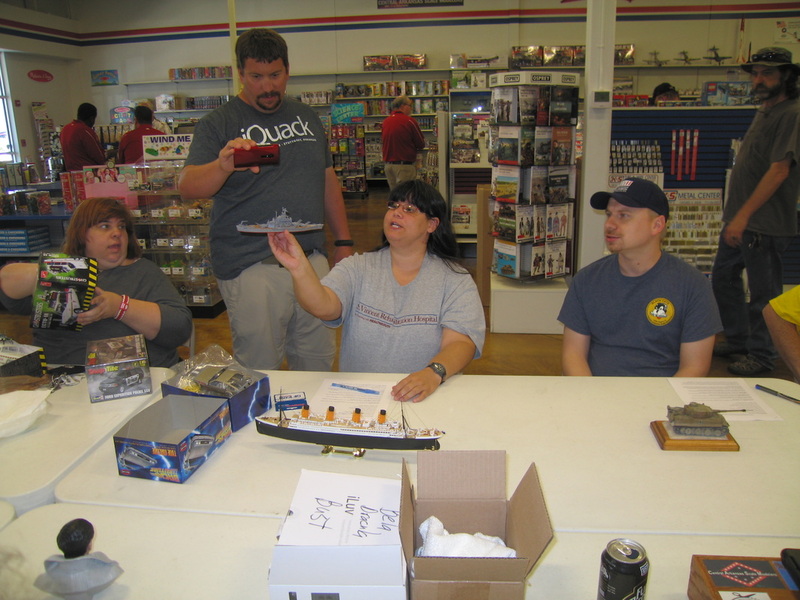 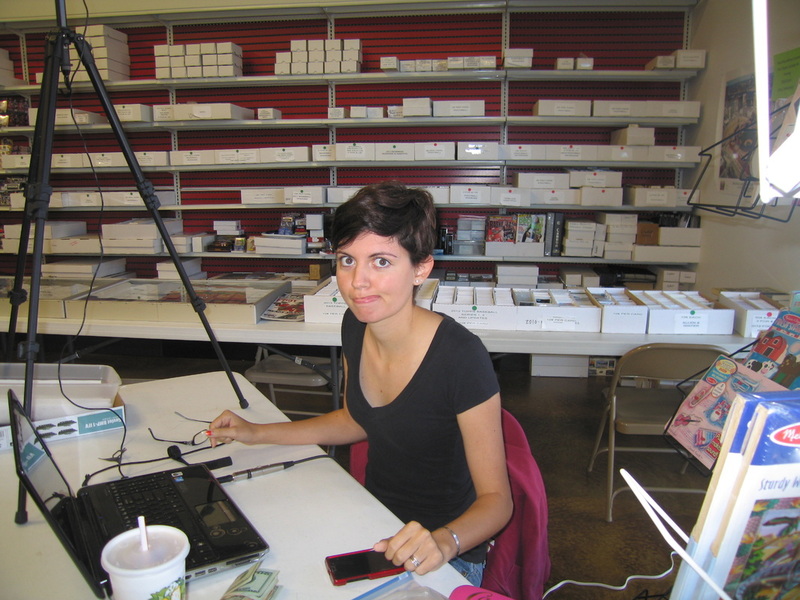 Members that will be later than 5:00 should either call HobbyTown to ask if they are needed to move tables, or proceed directly to the show venue. Help will also be needed to tear down and clean up after the show on Saturday afternoon/evening. 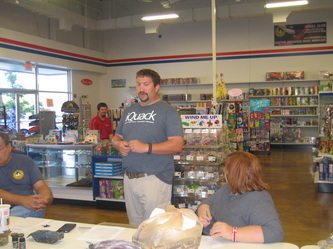 Please stick around to help. 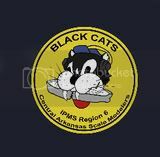 Tom Brown said he would put turn-by-turn pictures on the Scratching Post that will show the correct route to get to the correct building at the Health Center. 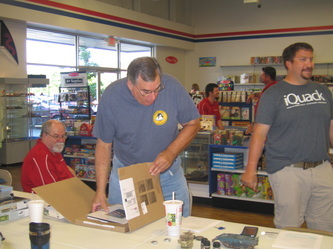 Supplies were needed to make signs leading participants to the venue. 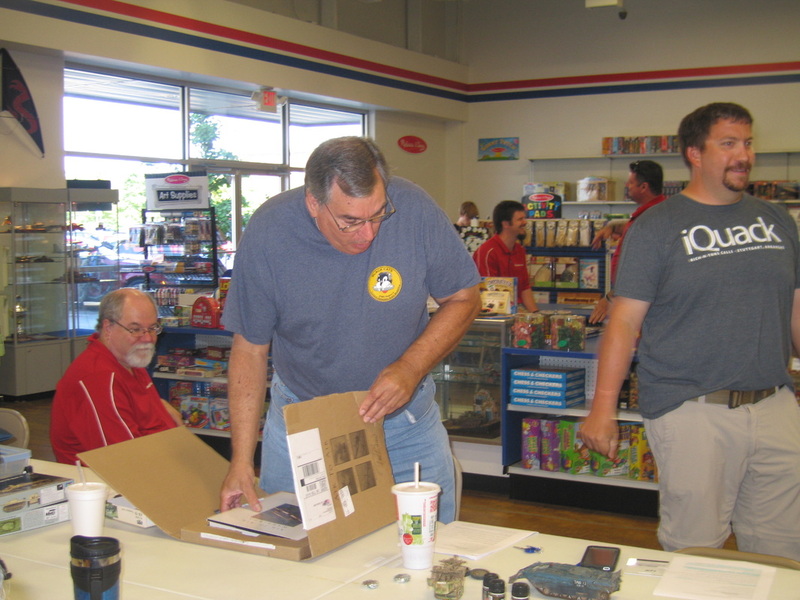 Members voted to authorize funds for the needed supplies. 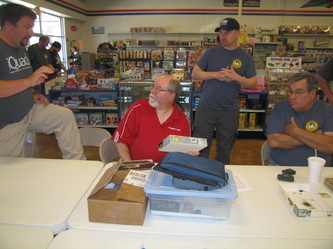 Ken said that there is a large pile of items for the raffle, including figures, kits and supplies. If you have kits you want to donate for the raffle, bring them to the show. Cliff Bullock showed us a book entitled Air to Air Warbirds that was donated for the raffle. 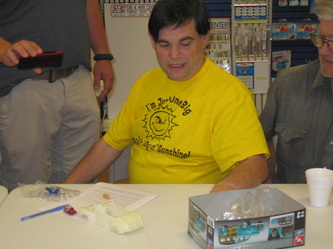 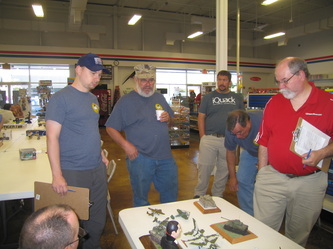 Demo: Ray Smith gave a presentation on judging for the show. 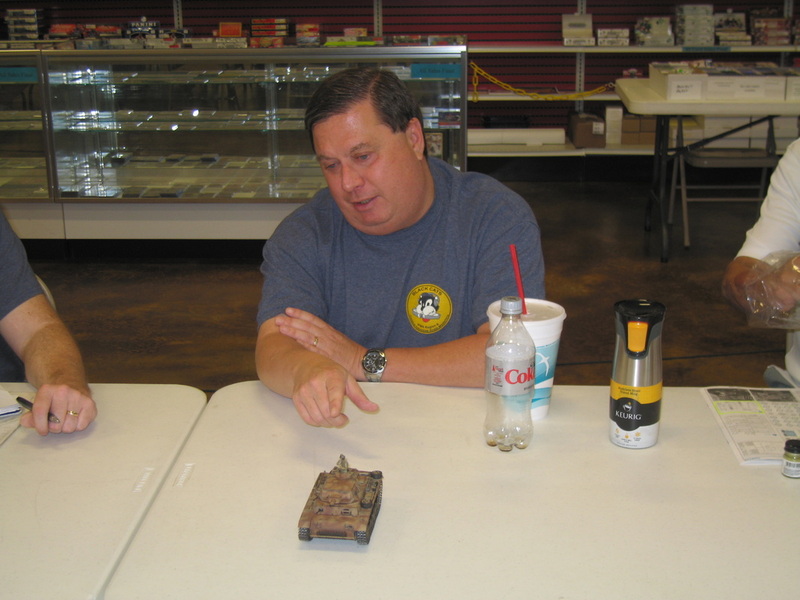 Daris Long also shared many points to consider, and Rusty Nail discussed judging figures. 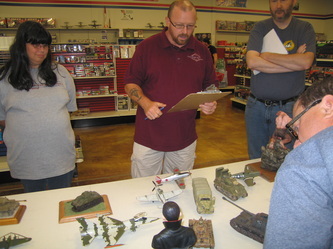 Jessie Nail presented a wooden airplane he got at HobbyTown. 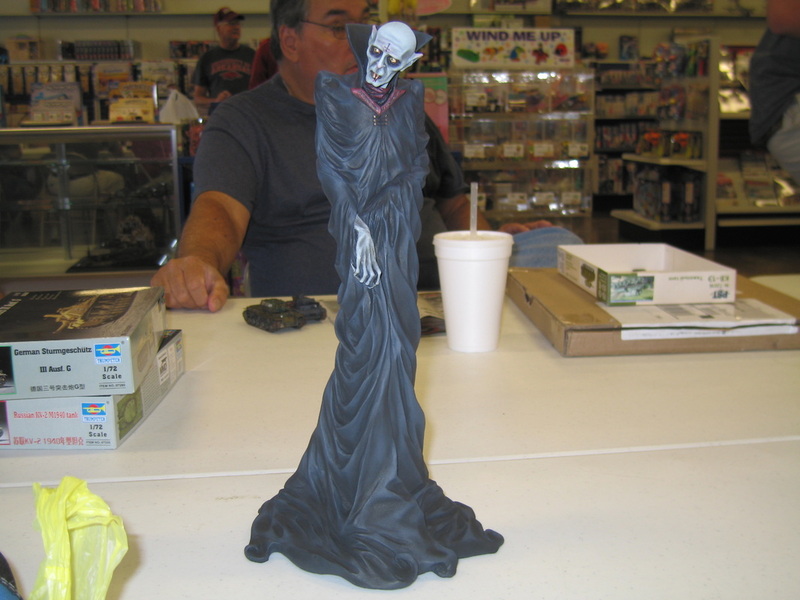 Rusty Nail presented a Nosferatu figure. 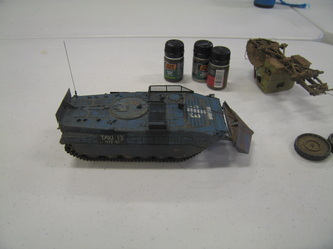 Ken Childres presented a WIP RSO truck, a post-apocalyptic armor piece called Taxi 13, and some AK Interactive products. 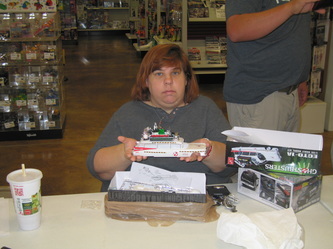 Shawn Boody presented a WIP Ghostbuster’s Ecto 1. 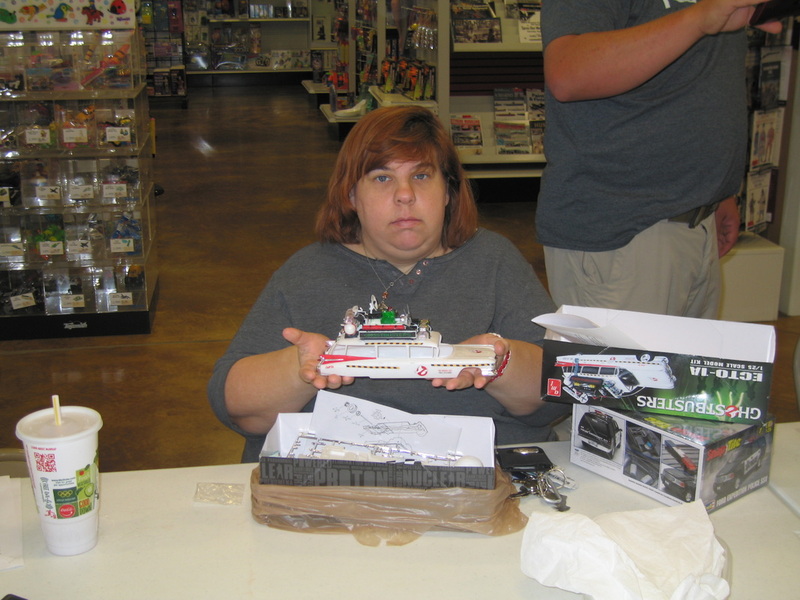 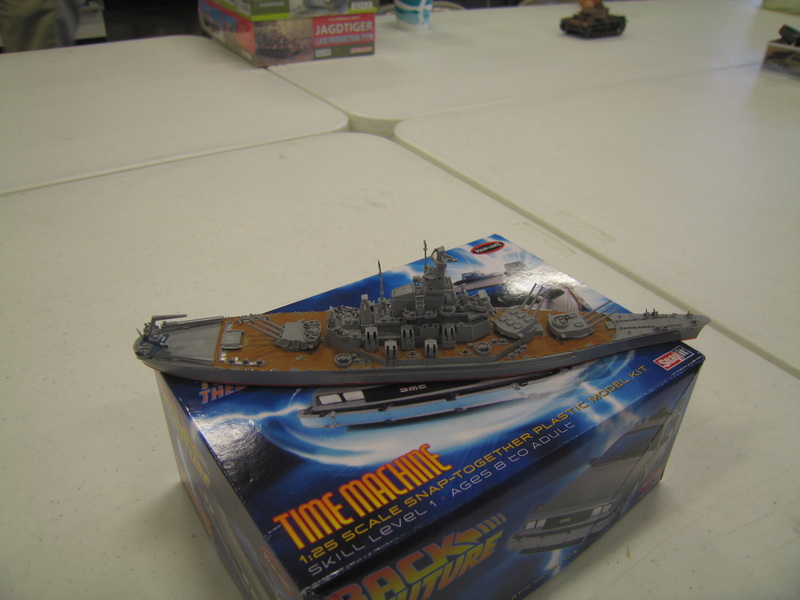 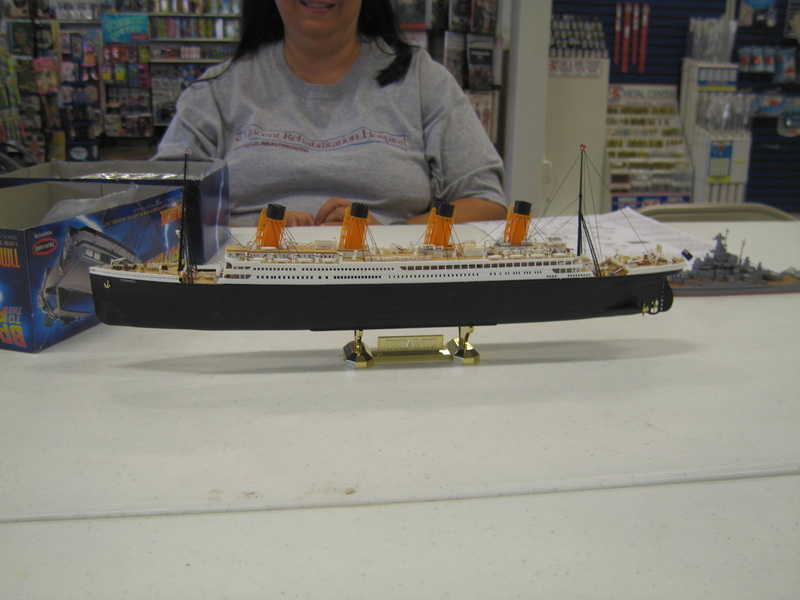 Traci Derrick presented a WIP Delorean Time Machine from Back To The Future, a USS Alabama, and a Titantic. 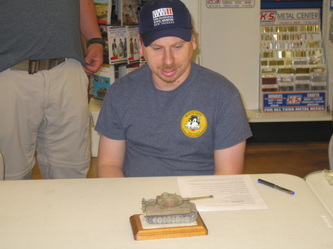 Matt Bond presented a Tamiya Tunisian Tiger. 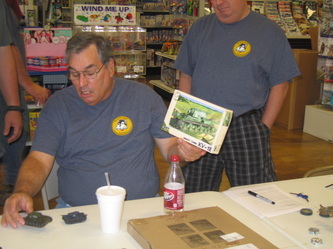 Ken Fausett presented 1941 Ford Woody WIP. 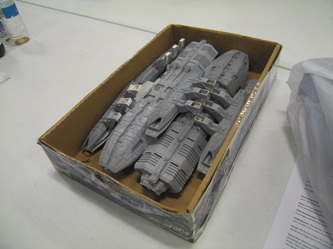 Jeffrey Griffin presented Battlestar Galactica and Battlestar Pegasus WIPs. 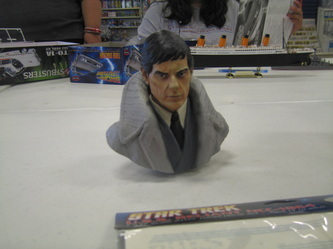 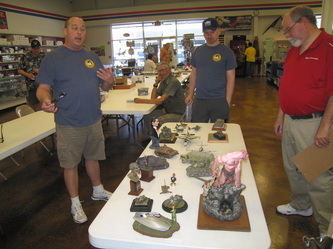 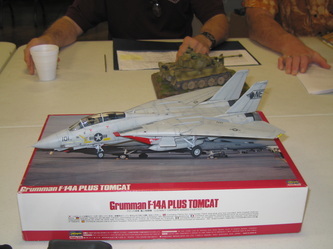 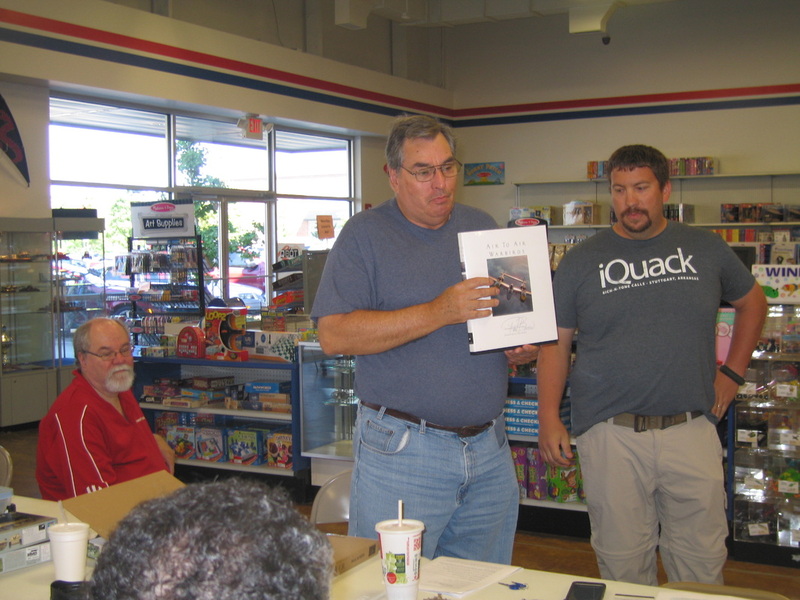 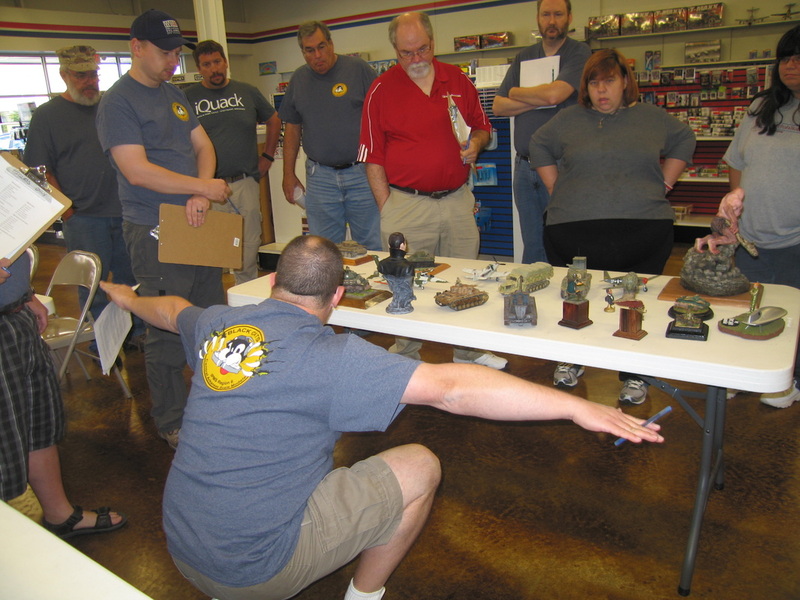 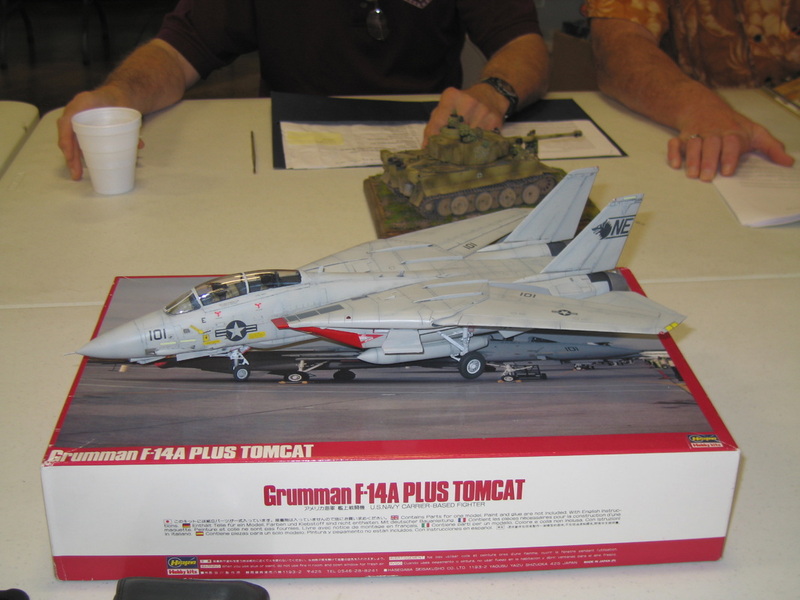 Lloyd King presented decals for a Mig-21 and an F/A-18-F.
Brent Bristow presented a WIP Barnabas Collins bust. 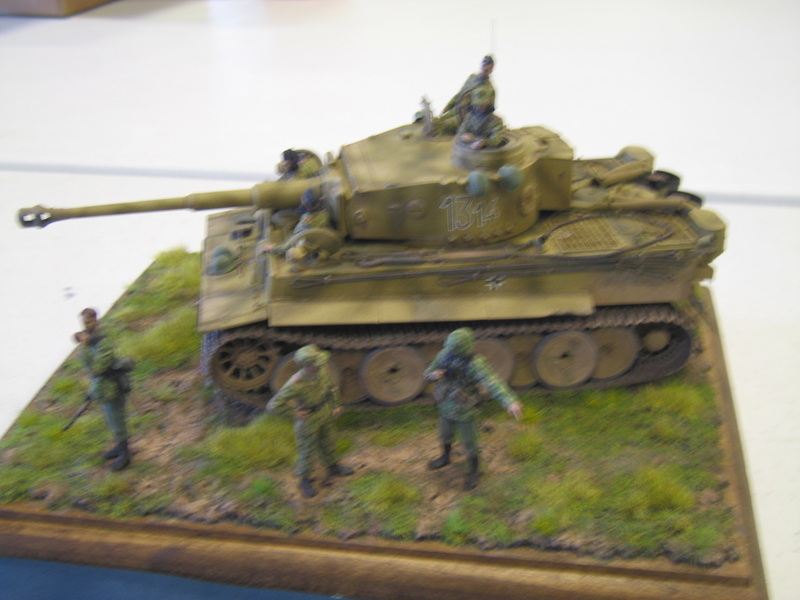 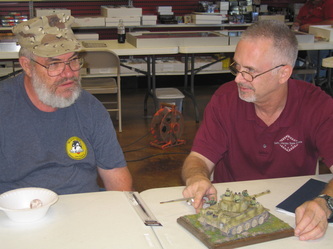 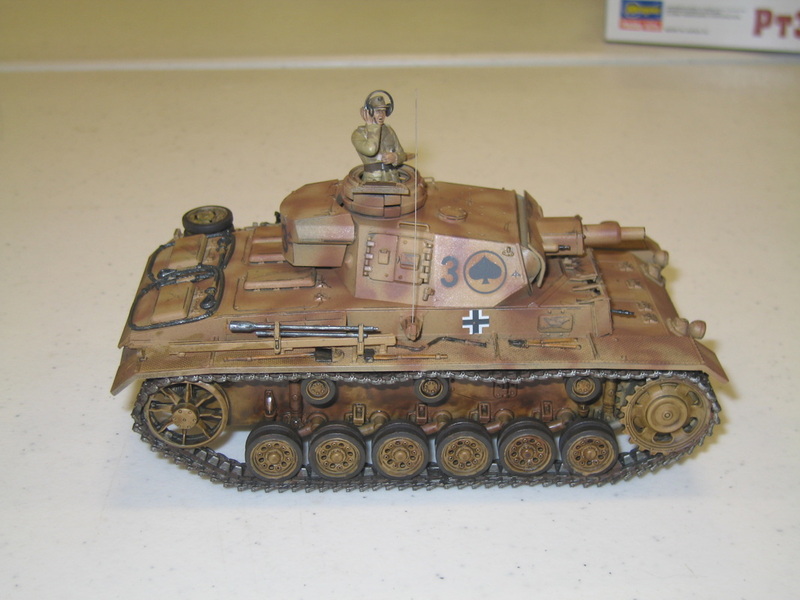 Richard Buzbee presented a 15th Panzer Division Tunisa 43 and Tamiya Panzer III N with a turned metal barrel, AFV tracks and a guitar string antenna. 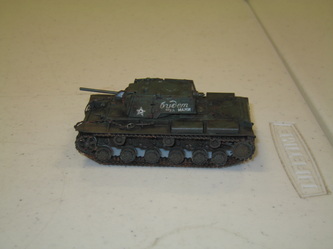 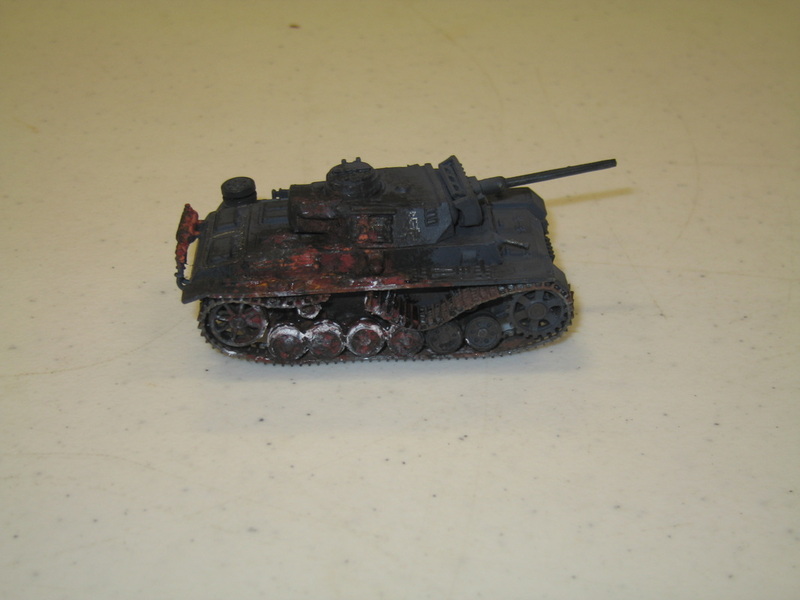 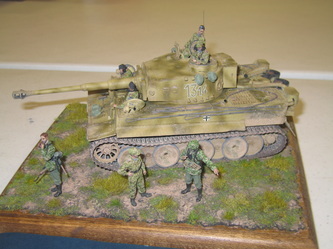 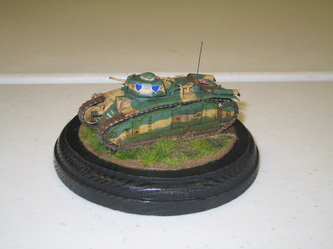 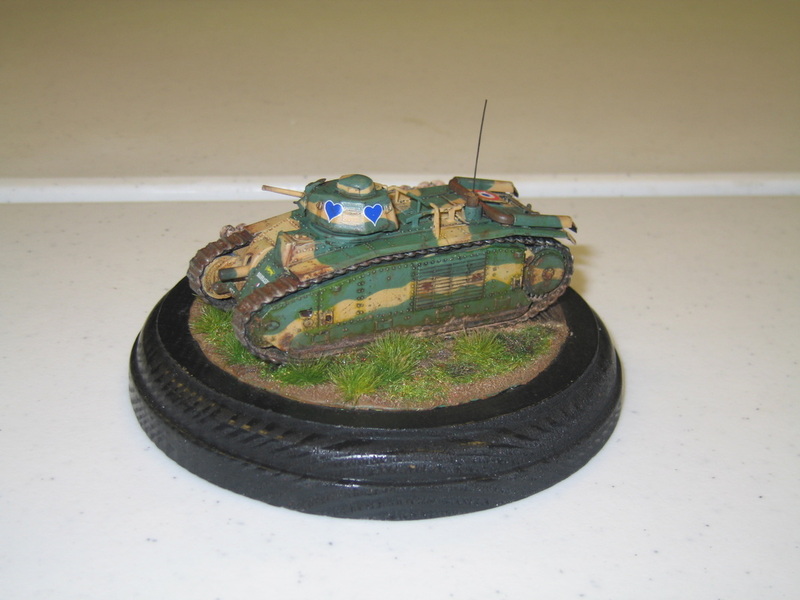 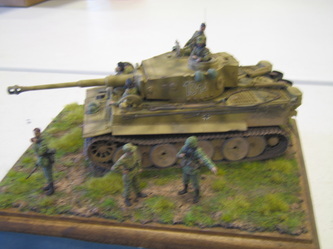 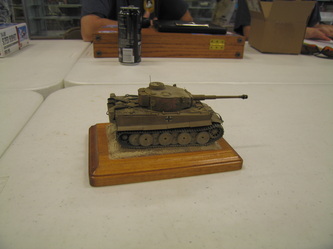 Alfredo Insignares presented a Tamiya Tiger I WIP. Rick Knapp presented a Tiger I.
Mike Warren presented a KV-I WIP. 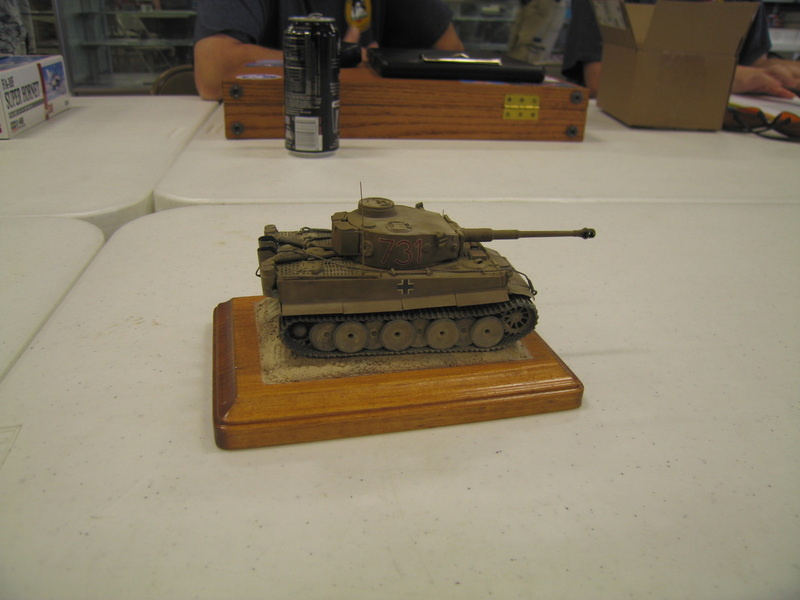 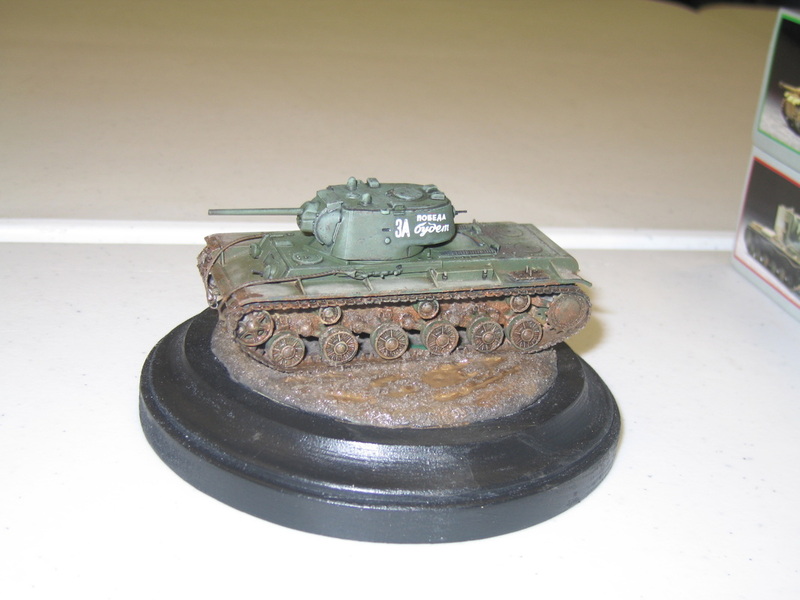 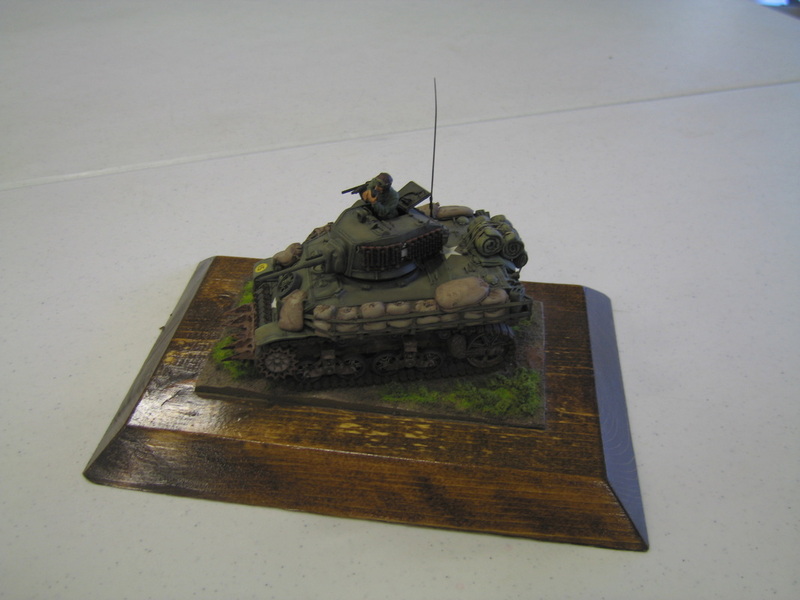 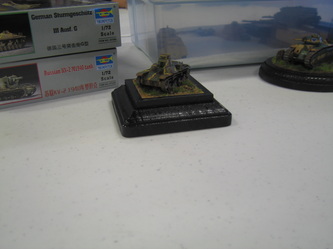 Cliff Bullock presented a 1/72 PST KV-1E and an ESCI Panzer III N.